As spring brought a swift end to winter while the Graduation Ceremony of March 21 marked the end of a long journey in many students' lives, it is now time for new beginnings to take place with the first sprouts and blooms of the season coming soon; it is the period of the year when students usually start their university in Japan. Once students are enrolled at our university and before the Matriculation Ceremony takes place, we hold an Orientation to introduce the university and the programs as well as carry out any administrative process. 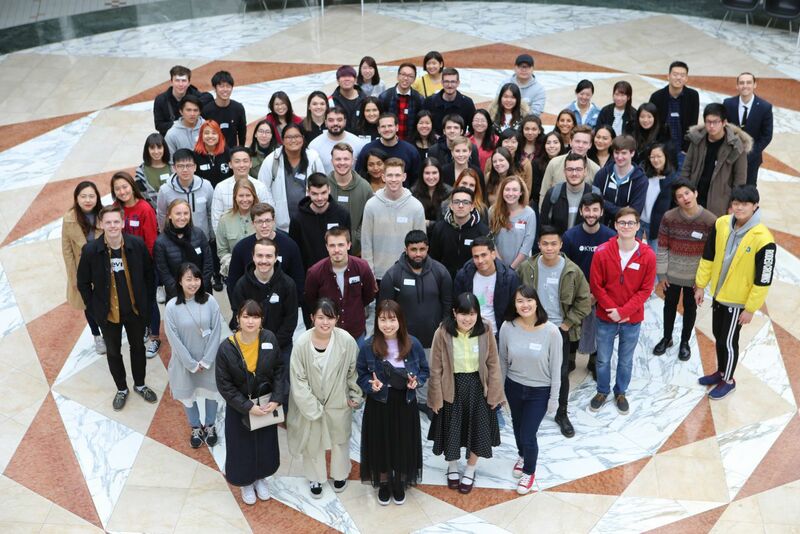 For our 45 students joining the Global BBA program (both regular and exchange students) on this Spring 2019, 2 days of orientation were held on March 25 and 26 in order to welcome them to Nagoya University of Commerce & Business and provide various information. On Day 1, students got to learn more about Japan and its culture, the city of Nagoya, the history of Nagoya University of Commerce & Business since its original establishment in 1935 and carried out certain administrative procedures. The Day 2 was all about our university, its rules, regulations and policies, the Global BBA program, curriculum and its particular teaching method. Dean Takeshi Uemura (Faculty of International Studies) welcomed the students and described what it means to be part of NUCB's Community as well the university's mission and vision while Prof. Hakeem Muhammad Mohsin explained the essence of the Participant Centered Learning before giving a small demo of how the case method is carried out in the classroom. NUCB recently began the Global BBA, a 4-year program fully taught in English at the Nisshin/Nagakute Campus, in Fall 2018. 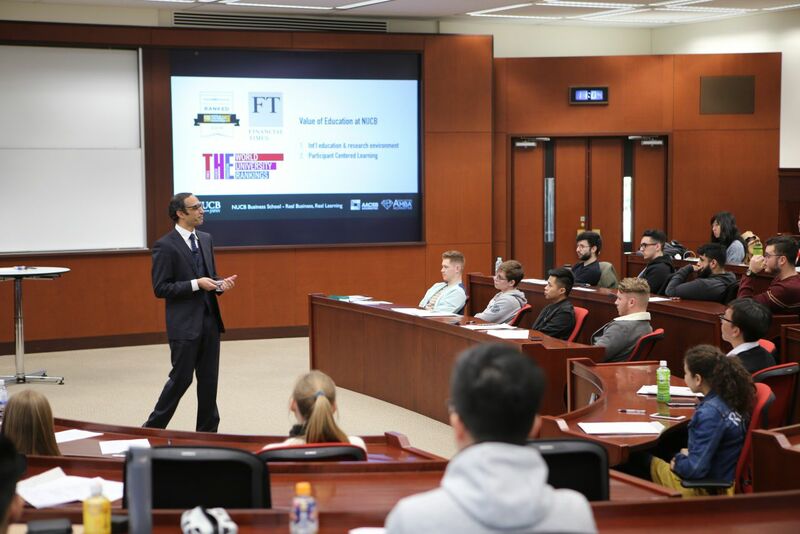 The Global BBA, bringing both regular and exchange students together in the classroom, is designed to provide students with a broad knowledge in a variety of core business subjects. NUCB provides an innovative and international program based on participant centered learning, held by the faculty of Management that will help you develop the necessary business acumen to help launch student's career. Studying business administration through the case and field method at NUCB will help develop skills in accounting, management, ethics, marketing, strategy, as well as soft skills such as leadership, teamwork or critical thinking; all of which are key competencies you'll need to succeed in today's dynamic global business environment. Furthermore, in order to diversify students' experience, the program includes international programs and internships. The participant centered learning puts the students at the center of the classroom and giving them great responsibility, instead of the instructor in a more traditional lecture style. Using the case method, which puts the students in the shoes of decision-makers in the context of challenges faced by an organization, students focus on real-life and complex matters while learning and applying the appropriate theories in order to come up with potential solutions.